It’s often frustrating being a collector of Beatles music and the different releases available around the world….sometimes we get caught out and lose money in the haste to secure certain items. We all scrambled around trying to find ways to secure a copy of this from suppliers in Japan. We currently have ours on order from cdjapan.com for a princely 14,000 Yen [that’s $146.00 Australian], plus postage. Now comes news (from Steve Marinucci’s Beatles Examiner News page) that “The Japan Box” can now be pre-ordered through Amazon.com. It comes out there on July 15 – for just $118.98 US….that’s $127 Australian! The set will also be available in the UK. 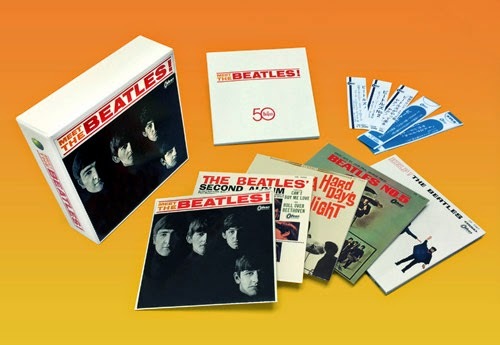 This box commemorates the Beatles’ 50th anniversary and features five Japanese Beatles albums in reproduction covers exactly as they would have been originally issued on LP from 1964 to 1965. This parallels “The U.S. Albums” box set which came out earlier this year in America, and like that set the Japanese albums will be compiled from the 2009 remasters, with the exception of “Help!,” which will have its original ’60s stereo mix. 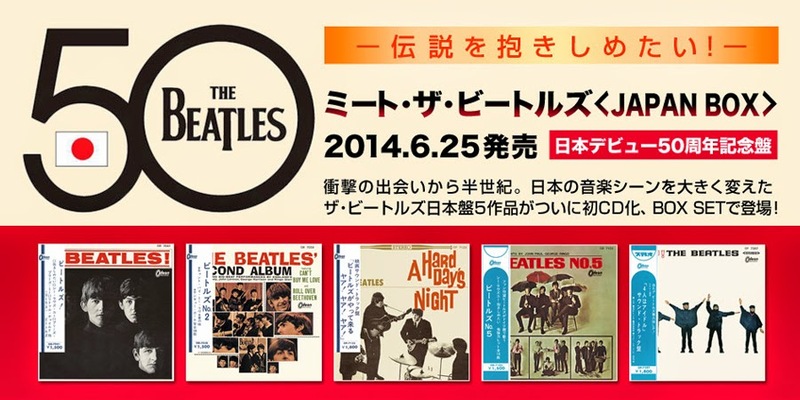 The five albums included are “Meet The Beatles,” “The Beatles Second Album,” “A Hard Day’s Night,” “Help!” and “The Beatles No. 5.” A 100-page Japanese booklet will also included. Track lists of the albums are unique to Japan. But you have to ask yourself how an album manufactured in that country, then imported to the US, can be on sale $20 cheaper there than buying it direct…. I buy every Beatles item in the world. I saw them here in Italy, Milano June 23, 1965. Still the greatests!!!! In my collection I have also more then 500 Beatles books!!!! I start with the Beatles religion!!! Join my Beatles music Church (italiankoto@yahoo.com.br). Wow 500? I love Beatles too and I share your passion friend! Do you have somewhere where I can see what you have so far from Beatles? Why can’t you cancel your order from cdjapan.com & reorder it from a place where it costs less?